Hey –how is everyone out there? I am supposed to be doing new design pattern directions…but i am going to take a break, write a post and eat 2 dove dark chocolates…want to see my sewing studio? here is a fish eye look at part of it…see the new black furniture? just what this primitive girl needs…black…look how it makes my room look so much bigger? Can you see where my computer is? Just barely to the far right corner…i am sitting there right now…too bad it doesn’t look this clean…lol it is never clean…and why should it be…i am always creating messes…well…here are the two quotes from the “dove” goddess…”Do what feels right.” and “Be the first to hit the dance floor”…I think that one was really meant for Nick…so I will have another…”Let your sensuousness shine through.” Hmmm…it is my 14th Wedding Anniversary today…that is all I am going to say about that one…I was going to show you all a pic of all of the fabric that came in to the warehouse the last 2 days…My Seasonal Little Gatherings is here…but I can’t find the pic on my phone..oh well…trust me it was a lot…hope you ordered some because it is HERE!!! 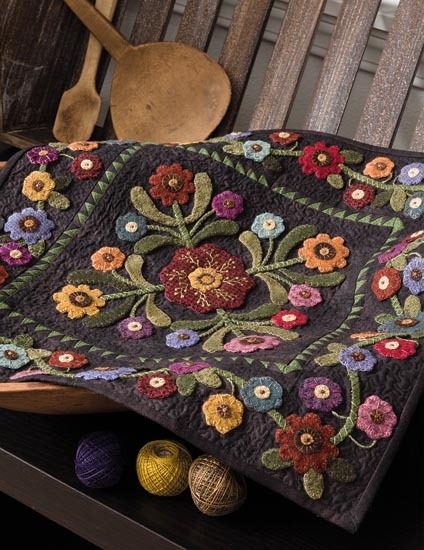 Next Post Summer Block of the Week….the sneak peek is here…. It looks wonderful! Are the cabinets custom? I’m about to have a new sewing room added to my house and have been looking at furniture but haven’t seen anything but white or natural wood. Love the peek into your studio ! Thanks for sharing. Nice to get some ideas, as you see, I am in the midst of planning mine……. Is this at The Gathering? I can’t picture where your studio is in the house? It looks great! 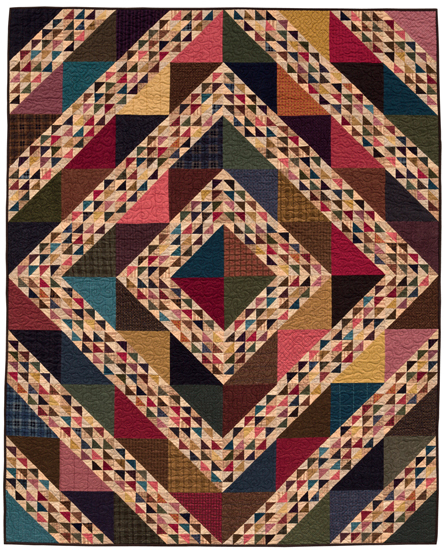 What is the quilt on your quilt frame? Is your cutting mat 2 squished together or one big one? I have a new cutting table much like yours but the mat could be bigger….if it’s one, where did you get it? Love the new furniture! Tracey’s Tables? Happy Anniversary to both you and Nick! Happy Anniversary! I just had my 2 pieces of Dove chocolate also. I love the pictures of your room. Happy Anniversary! I just love your studio….! How does anyone stop at only two Dove chocolates?! Happy Anniversary, Lisa and Nick! One of my favorite quotes is “Love life, and life will love you back.” You and Nick ARE that quote! LOVE LOVE LOVE your studio ! and how DO you stop at just 2 Dove chocolates ?? I sure can’t ! Love that you have a quilting frame … so many quilters today don’t even know how to hand-quilt or applique (unless they’ve seen your patterns !) …. we have to keep the OLD ways going too ! 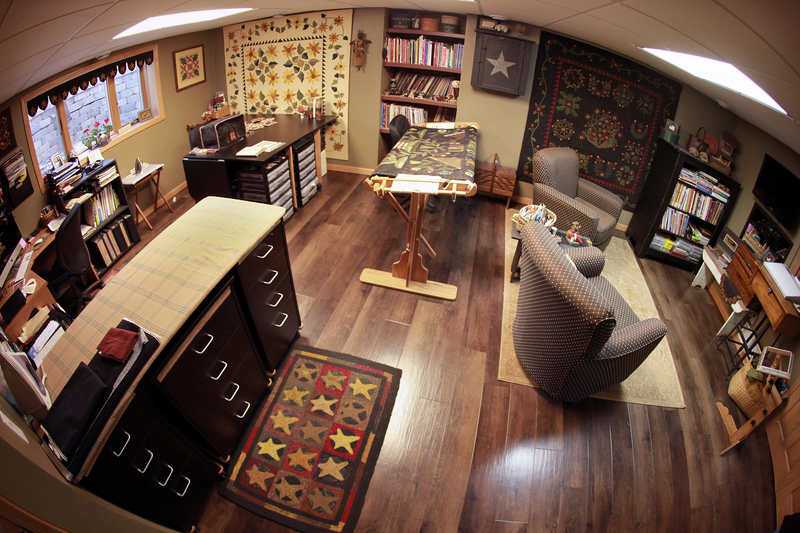 Now, get back to WORK on your wonderful designs … and I’m heading back to MY sewing room too … I’m reorganizing ! Happy Anniversary! What a beautiful room! I have a smaller room, but it needs some tuning to make better use of the space. Love the “rolling drawers” especially. Gorgeous room. I’m envious of your space! Beautiful studio! thanks for sharing photos and Happy Anniversary. Well now I have drooled all over MY computer after looking at your studio! I love what you have done with it! Happy Anniversary to you and Mr. Nick! I wish my sewing area looked as inviting as yours does! Love the star valances – you need to make a pattern for those! Happy Anniversary! We are celebrating our 30th in July. 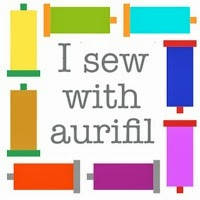 Enjoyed your pictures of your sewing room. And had a blast at my Pocket Full of Posies class. Have a good time celebrating!!! Just wanted to wish you andNick a Happy Anniversary! Lisa-your studio is to die for! Everything is so neat and organized. I am drooling over your wool stash. Happy Anniversary to you and Nick-many you have many more happy years together. Posted on the wrong post…. Oops! Again… Absolutely gorgeous!!L! Congratulations on your Anniversary, hope you do something fun and romantic…like your Dove wrapper suggests! Love your sewing room, it’s really a beautiful space. Beautiful room! Wow! Happy Anniversary. Hope you had a wonderful day. Can’t wait to come to the shop soon. Thank you for sharing your beautiful new studio and Happy Anniversary to both of you !! Ok…now you know how to make a girl JEALOUS!! LOVE the black furniture… mine is primitive stuff… LOVE your floors too. Happy Anniversary to you and Nick… Have a super fun time !!! See you soon! Love your studio!! What are the dimensions of your space? We’re looking for a new house and it has to have space for my sewing studio. That would make it a MASTER STUDIO!!! LOL Love your studio by the way. I’ve been cleaning mine ever since I saw your setup yesterday. Do you remember the name of the yellow/green quilt hanging in the background?? Love your studio! What is the yellow flowered quilt hanging to the left in the room? Love it, too! It is a quilt i made for our marriage 14-15 years ago…so our wedding quilt! Would you mind sharing the pattern name? Can I ask what the name of the pattern is? 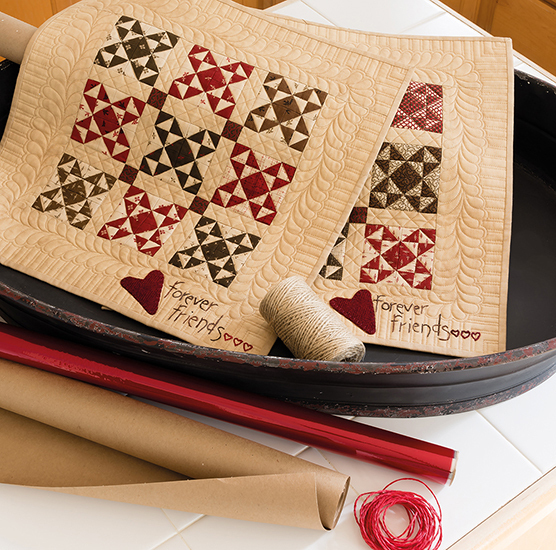 Love, love, love your sewing studio — want to trade? Is that Koala furniture? Happy Anniversary! Your space is amazing! Love the black furniture. I bought an old tv stand and painted it black. It is my favorite piece. Now to tackle the book shelves… Thanks for sharing. Where is your sewing machine? I too just love your space and especially the penny valances! Are they made of wool or flannel? The black furniture really looks sharp!! Pinned this today (and announced that I joined the summer BOM) – so far – 16 repins and six likes! Love your work! 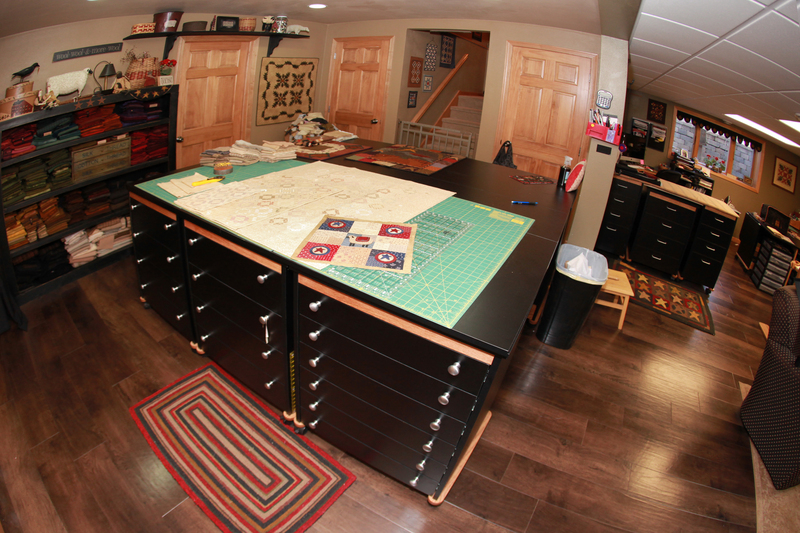 I meant that I pinned the summer BOM entry and not your sewing room…I think I better retire for the day! Happy Anniversary to you and Nick!! Love your studio… It’s fabulous!! Wow! Love your studio. It’s only 4-5 times the size of mine! Lol. I dream of a room like that someday. Thanks for sharing yours. Happy Anniversary, enjoy! This makes me want to come and play with you Lisa! Love it!!! !